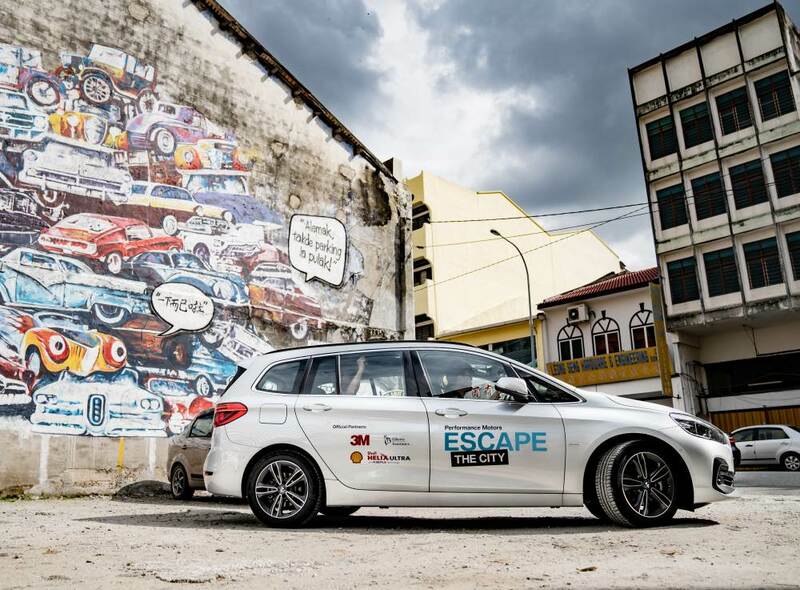 Performance Motors’ customers ‘Escape the City’ for a weekend getaway to Ipoh. Singapore. 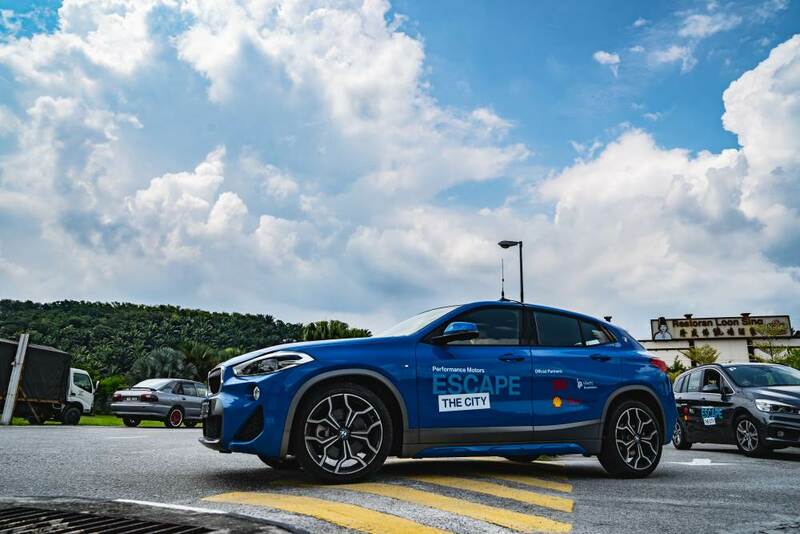 The Performance Motors ‘Escape the City’ saw over 100 participants, including customers with their families, travelling over 500 kilometres to Ipoh, Malaysia in close to 40 BMW cars to escape the hustle and bustle of Singapore from 24 to 26 November. The convoy consisted of the BMW 1 Series, BMW 2 Series Active and Gran Tourer, BMW 3 Series, BMW 5 Series, BMW 7 Series, BMW X1, BMW X2, BMW X3, BMW X4, BMW X5, BMW M5 and BMW i8 Coupe. The convoy set off from Jurong Bird Park on a Saturday morning at 6.30am. After 11 hours and multiple pit stops for breakfast, lunch and fuel, the convoy arrived at The Haven Resort Hotel in Ipoh. The all-suites luxury resort enclosed within pristine limestone hills, forests and lakes was the quintessential weekend getaway. After settling in to their rooms, the participants were treated to an outdoor barbeque dinner with seafood, meat and local delicacies, not to mention the opportunity to win various lucky draw prizes. The lucky grand prize winner walked away with a pair of air tickets to Hong Kong. On the second day, most participants opted for a tour of Gua Tempurung, a majestic 1.59-million-year-old limestone cave located 40 minutes from Ipoh, while the others headed to the old town of Ipoh for sightseeing and to sample famous street foods such as Ipoh Hor Fun and White Coffee. Those who preferred to relax at the resort enjoyed the various facilities including the spa, the infinity pool and the jogging track set against a breathtaking backdrop of limestone hills and lakes. 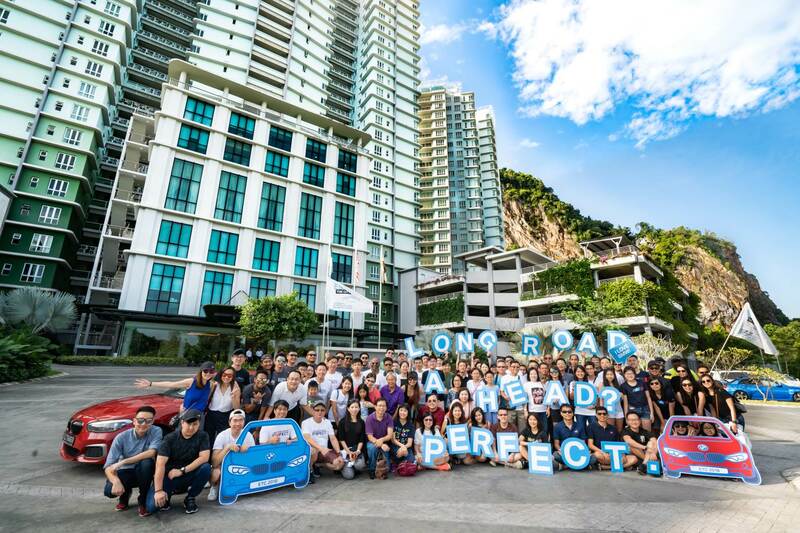 On the final day, everyone gathered for a group photo at the resort after breakfast before making their way back to Singapore. The convoy stopped en route at Nilai to enjoy lunch and just before reaching the Singapore border, all participants gathered at the R&R Gelang Patah to bid a final farewell. Performance Motors Limited (PML) is a member of the Sime Darby Group and has been the dealer of BMW cars and BMW motorcycles in Singapore since 1979. PML has achieved various accolades in sales and service excellence over its 39-year history in the luxury segment. 2002 - In an industry first, PML initiated a customer lifestyle and rewards programme which evolved into the ‘BMW 7 Series Privileges Programme Plus’ – a distinctive lifestyle and rewards programme exclusively available to owners of new BMW 7 Series in Singapore. Premium experiences covering golfing, driver training, chauffeur services and lifestyle have been specially designed with the discerning taste of the BMW 7 Series customers in mind. 2003, 2004 - PML received awards from BMW Asia in recognition of the BMW 7 Series’ segment leadership. 2005 – PML sales powered to the top of the Singapore luxury car market. PML added to its collection of BMW awards the Best Sales performance in the Asian region. PML sales established BMW as the leading premium car brand in Singapore. 2006, 2007– PML claimed market leadership among premium car brands in Singapore for three consecutive years. The flagship BMW 7 Series limousines used to transport world leaders during the 2006 World Bank meetings and all key government events were once again reaffirmed as the choice for leaders, as the official car for various high-profile events such as Barclays Singapore Open, the ASEAN Ministerial Meetings and the Singapore Airshow. 2008 - PML opened the new Sime Darby Performance Centre, the benchmark BMW Sales and Aftersales facility in Asia in September. The two existing premises at the Sime Darby Centre and in East Coast Centre continue to serve BMW customers and strengthen PML’s service excellence in conjunction with this new Performance Centre at 303 Alexandra Road. 2009 - BMW continued to be the limousine of choice for the APEC meetings. PML was honoured as one of the Top 3 entries in the Conquest BMW 7 series of BMW Excellence in Sales 2009 categories, the international competition for outstanding sales performance. 2010 – PML broke the 4,000-unit sales record and set a new milestone in its retail history with a remarkable achievement of being the Top Luxury Car Brand in Singapore. PML reopened its refurbished Aftersales facility in East Coast Centre (ECC) at 280 Kampong Arang Road. 2011 - PML became the first ever luxury car brand and dealer to surpass the competition, in a highly competitive car market that has traditionally been dominated by volume driven marques. This is the first ever situation anywhere in the world where BMW is the leading car brand. 2012 – PML continued its trailblazing success and retained pole position as the Number One car brand in Singapore for a second consecutive year. PML’s Motorrad division proudly recorded a year-on-year increase in sales of 50%. BMW continued to be the official limousine brand for the Barclays Singapore Open for the sixth consecutive year. 2013 - BMW was appointed the official limousine brand of the 2013 International Maritime Defence Exhibition and Conference. Performance Motors sponsored a fleet of 220 units of BMW 5 and 7 Series for the high-profile conference dedicated to maritime defence. BMW Motorrad achieved remarkable growth to become the top selling luxury bike brand in Singapore for the second consecutive year. 2014 – PML announced the official inauguration of a new BMW facility at 315 Alexandra Road, which integrated a new BMW Motorrad showroom and an Aftersales facility dedicated to BMW Fast Lane services. BMW fleets continued to be the choice limousines for the Singapore Airshow 2014, BNP Paribas WTA Finals 2014 and Louis Vuitton High Jewellery event. 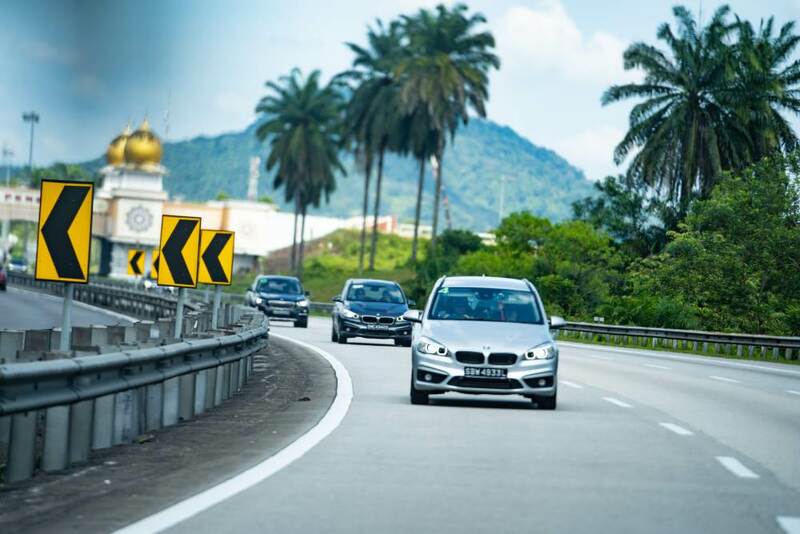 2015 - BMW was the preferred limousine brand to chauffeur delegates for the World Engineers Summit 2015 and the Asia Pacific Homeland Security 2015. PML also welcomed the launch of BMW ConnectedDrive, as well as, the all-new BMW 7 Series. 2016 - PML recorded an all-time high for new car registrations and was named the Best Dealer in Sales at BMW Group’s Excellence in Sales Awards 2016. PML also launched the Future Retail concept at the newly renovated BMW showroom at Sime Darby Performance Centre, which sets new standards in the automotive industry through the use of innovative digital tools and engaging retail environment. As a leading luxury car brand in Singapore, BMW remained the preferred limousine brand for the Singapore Airshow 2016, SMBC Singapore Open 2016 and Louis Vuitton High Jewellery Event 2016. BMW was also proudly designated as the limousine brand of choice for the Singapore Beach Polo Championship 2016, Singapore International Water Week 2016 and National Gallery Singapore Gala 2016. 2017 - PML continued to trailblaze and achieved yet another sterling record of high performance in a second consecutive year. The introduction of five new BMW iPerformance models and an updated BMW i model saw PML cementing its position as the industry leader for plug-in hybrid electric vehicles (PHEVs) and electric vehicles (EVs) in Singapore. BMW was appointed the official car brand for numerous prestigious and high-profile events including ASEAN Tourism Forum 2017, SMBC Singapore Open 2017, Singapore Yacht Show 2017, IMDEX Asia 2017, Miss Universe Singapore 2017 and Singapore International Energy Week 2017.